Cynthia L. Taub leads Steptoe's National Environmental Policy Act (NEPA) permitting and litigation practice, and handles a wide range of environmental and chemical regulatory and litigation matters. Cynthia guides clients through the permitting, consultation, and NEPA processes for complex projects, then represents them if and when the project, permit, or federal funding decision gets challenged. Cynthia works with clients during the permitting/NEPA process to help ensure the final agency decision will be defensible, while also helping resolve inter-agency disputes that can delay the project. Clients turn to Cynthia for her ability to develop effective NEPA compliance strategies, and for her influential relationships with numerous industry consultants and agencies. Cynthia works with clients on the integration of the NEPA review process with other statutory requirements, including Endangered Species Act (ESA) consultations, Clean Water Act (CWA) permits, Coastal Zone Management Act (CZMA) consistency determinations, Section 4(f) of the Department of Transportation Act reviews, and National Historical Preservation Act (NHPA) Section 106 reviews. She also assists clients with related statutes, including the Migratory Bird Treaty Act, the Bald and Golden Eagle Protection Act, and the Marine Mammal Protection Act. In addition, she handles litigation of NEPA, CWA, ESA, and NHPA cases, both at the district court and appellate levels. In the area of chemical regulation, Cynthia's practice includes compliance counseling, regulatory development and challenges, and enforcement. 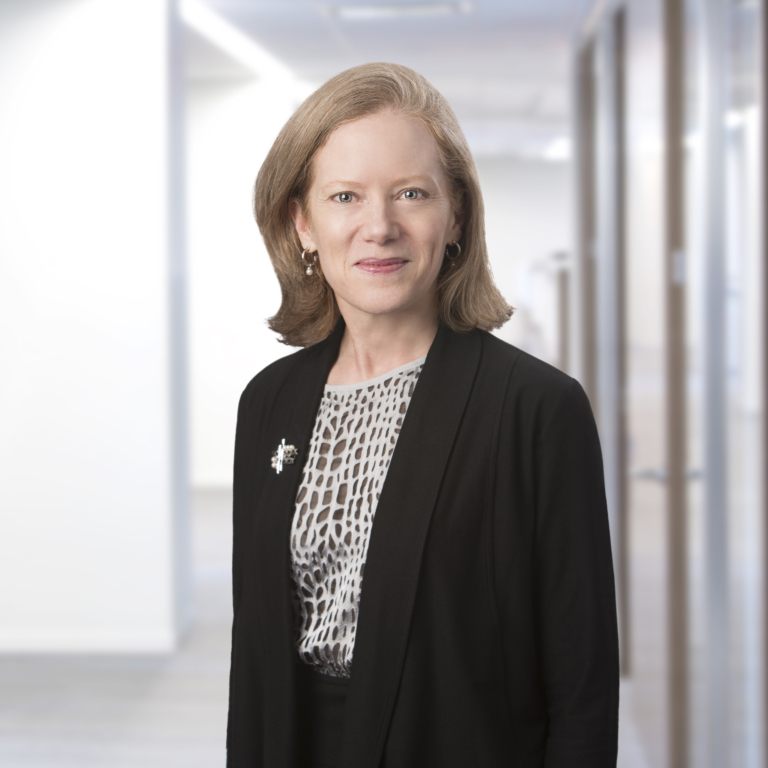 She counsels clients on a full range of chemical regulatory statutes, including the Federal Insecticide, Fungicide, and Rodenticide Act (FIFRA), the Toxic Substances Control Act (TSCA), the Resource Conservation and Recovery Act (RCRA), and the Comprehensive Environmental Response, Compensation, and Liability Act (CERCLA). She also comments on regulatory decisions on behalf of clients and has successfully challenged numerous regulatory actions in federal court. Represents All Aboard Florida, an entity seeking to construct and operate an express passenger rail line in Florida. Currently assisting with the NEPA, NHPA, and CWA regulatory processes for the project, and successfully moved to dismiss litigation challenging certain federal actions regarding the project. Represents a major pipeline company regarding cross-border pipelines between the United States and Canada in various permitting and NEPA work before the US Department of State, as well as associated litigation. Earned a favorable ruling in a NEPA and CWA-based challenge to multiple federal agency permits for a client’s domestic oil pipeline before the DC District Court and the DC Circuit. Managed the NEPA process for an energy project that involves carbon dioxide capture and sequestration through enhanced oil recovery (EOR). Worked with the Department of Energy and its consultant to prepare and issue an EIS that addresses a wide range of issues, including greenhouse gas emissions and the impacts of EOR. Worked with the Surface Transportation Board on the NEPA and NHPA review for multiple rail projects, as well as related litigation. Assisted the American Chemistry Council with comments on EPA’s regulations regarding data requirements for antimicrobial pesticides. The team successfully negotiated a settlement of a legal challenge to the regulations. Prepared amici brief for two trade associations in a CWA citizen suit case regarding the reach of the CWA. Represented Pebble Limited Partnership in opposing EPA’s proposal to preemptively “veto” development of one of the world’s largest gold and copper deposits in Alaska under the CWA Section 404(c). Negotiated settlements of EPA enforcement matters under numerous statutes, including FIFRA, the Clean Air Act, and TSCA. Minimized penalties for numerous clients under EPA's self-disclosure policy, as well as through Supplemental Environmental Projects (SEPs). Led a successful administrative appeal of a Corps wetlands jurisdictional determination. TSCA in 2017: Where Are We Now? What Does TSCA Reform Mean to You?